Dr. Rebecca Timlin-Scalera, Founder & Executive Director of The Cancer Couch is also a wife, mother, Neuropsychologist, writer, and lifelong athlete (Division 1 College Soccer Player). She was living a full, healthy life when she was completely blindsided by an advanced breast cancer diagnosis in September 2015 and told she might have just 3 years to live. She has no family history, performed regular self-exams, as well as receiving annual mammograms and ultrasounds for dense breasts. Weeks later, Rebecca experienced a miracle. Her bone biopsy came back negative – with no evidence of cancer. It had not yet spread to the bones, and she was upgraded to Stage 3C and given “a chance for a cure.” Suddenly, instead of being devastated by having Stage 3C cancer, she was brought to her knees in tears of gratitude that it was not Stage 4…and thus began her education on the huge (life and death) difference between early and late stage, or metastatic breast cancer – and the dire need for more funding for metastatic breast cancer- which is the basis for this foundation.” Learn more by watching our 2 Minute Foundation Video and/or our 7 Minute Blog/Foundation Video with an exciting sizzle reel to see how we got started and what we are all about. Unfortunately, Rebecca became one of the 30% of early stage patients whose cancer does metastasize to stage 4. Just 2 years later in September 2017 she learned her cancer had spread and was now metastatic. Rebecca also started writing a blog about her experiences going from once side of the couch to the other in the matter of a day. This experience, has given her a whole new perspective on life – and she writes about it from a place of humor and gratitude, but mostly honesty. 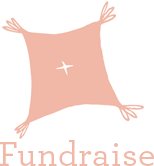 The Cancer Couch Foundation is a volunteer run, privately funded, non-profit organization. 100% of donations and event proceeds are matched and go straight to the cutting edge research we fund! Please support The Cancer Couch Foundation in our mission to accelerate treatment, and someday find a cure, for metastatic breast cancer. To fund cutting edge scientists at world class cancer centers, exclusively focused on impactful research that will accelerate life-saving treatments for metastatic breast cancer (mbc) – as quickly as possible. To continue raising awareness of the impact of mbc through blog posts and putting names, faces and stories to the stats of this incurable disease. To make metastatic breast cancer a chronic, manageable disease in our lifetime. In the US alone >41,000 people die from mbc each year. 1 in 8 women will be diagnosed with invasive breast cancer in their lifetime. Although 30% of those diagnosed with early stage breast cancer (Stages 1-3) will eventually develop metastatic breast cancer, and be re-staged to Stage 4, very little of breast cancer research funds (<7%) go to study this stage of the disease, the one that kills you. There are more and more treatments coming available for mbc, however, the average prognosis remains at 3 years. A woman dies of mbc every 13 minutes. Many breast cancer patients do not realize their breast cancer can metastasize even decades after initial diagnosis. As of December 2018, TCCF has been able to contribute (after funds have been matched) 2.38 million dollars to MBC research and $23,000 to Angel Funds throughout the country. We are proud to fund Dr. Nikhil Wagle at Dana-Farber on his studies of Immunoprofiling of ER+ Metastatic Breast Cancer as well as the role of HER2 and triple negative mutations in original ER+ Metastatic Breast Cancer. Dr. Sarat Chandarlapaty and his studies on CDK4/6 Inhibitors and tumor resistance to combination therapies. The Beth Calabotta Fund for Metastatic Breast Cancer Patients at Genesis Foundation in Illinois: $1000 in 2018. We have strengthened our partnership with The Bake It Happen Campaign which (after the match) raised over $53,000 this October!!!! Susan Melia, fellow MBC patient, raised over $20,000 at her Living Beyond Pink event in November! To continue to raise money through on-line and mail-in donations, through events and sponsors, and we will continue to host the annual Cancer Beat concert every fall as our signature fundraising event. To maintain a “lean” administrative profile which separates us from larger organizations in that we have zero overhead costs, and can be nimble and efficient in executing our mission, and giving our donors a more direct connection to the research. To ensure there is no redundancy amongst the studies we fund, a mandate of our funding is that our researchers are collaborating with each other across institutions. To continue creating Angel funds. When a community fundraises for The Cancer Couch, we give 10% back to the local cancer center in honor of an mbc patient to help those with mbc in financial need. We also plan to update readers and donors every year on the progress of the research we are funding, and remain completely transparent with our financial statements so you can see exactly where the money goes and when.